For discerning drivers who would like to save some money on their next luxury performance car, the inventory of Jaguar Approved Certified Pre-Owned Vehicles at Hornburg Jaguar Santa Monica is a great place to start. Each vehicle that qualifies is under six years old, has been driven less than 100,000 miles, and has undergone a thorough 165-point inspection by a factory-trained and certified Jaguar technician. In addition, you’ll enjoy a six-year/100,000-mile limited warranty that comes with maintenance, repairs, and emergency roadside assistance. You’ll also get a comprehensive vehicle history report to let you know about previous ownership. I highly recommend anybody shopping for a new Jag/ Range Rover/ Discovery to go to the Hornburg dealership in Santa Monica. Don't be put off by the temporary construction of their showroom, they are still the best Hornburg location in LA! Boris was fantastic and helped me find the Velar with the EXACT specs I wanted, let me test drive again, then even offered to deliver the car to my home as I had driven to the dealership in my other car. I always find car shopping kind of stressful but this was such an easy and pleasant experience. Everybody I met working at Hornburg SM was friendly and helpful from the front desk, financing and sales... especially compared to my experiences with the team from the Sunset Hornburg location which was horrendous (I left them a review too!). When Boris delivered my new car to me shortly after it was washed, he then spent time helping me download the InControl app, set up my navigation, set my garage clicker, sync my phones, click in the little extras like bag hook/ coat hangar etc. super helpful and I really appreciated that he helped me like this AFTER the sale, when he technically didn't need to. Thank you Boris for helping me get my beautiful new Range Rover Velar... I love it! I cannot speak highly enough of the service I have consistently received from Vladimir Pejcic over the past 3 years, and more recently, Zvi Aviad. This is my second lease through Hornburg SM and the level of commitment, dedication and patience they have shown to keeping me happy as a customer has been outstanding on all levels. Yes the showroom is currently under construction, and yes, the whole team are exceptionally busy, however those are just incidentals, in the larger scheme of things, excellent customer service will trump those minor issues every time. The porters, valet, reception and finance - all superb. Excellent experience from beginning to end. Welcome to Hornburg Jaguar Santa Monica; at our dealership, we’re dedicated to excellence in each of our core departments. This starts by providing luxury car shoppers in Venice, Century City, Marina Del Rey, Los Angeles, Malibu, and beyond with an outstanding selection of top-of-the-line vehicles. When you’re here, you’ll be able to choose from a wide range of new Jaguar vehicles, including models like the Jaguar XF, Jaguar XJ, Jaguar F-TYPE, and Jaguar F-PACE. You’ll also find a variety of premium used vehicles, as well, each of which has been carefully selected and inspected for quality. 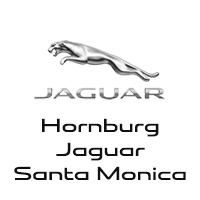 At Hornburg Jaguar Santa Monica, we’ll provide everything you need to get the Jaguar you want and keep it running at peak performance for many years to come. Work with a member of our knowledgeable finance center to secure a car loan at the most competitive rates. Once you’ve made your purchase, work with our Jaguar service department to handle standard maintenance work like oil changes and tire rotations, as well as major powertrain, suspension, and brake repairs. The team at Hornburg Jaguar has been serving drivers throughout Southern California since 2006, and we’re dedicated to delivering top-notch service and luxury cars for many years to come. Come see us today at 3020 Santa Monica Blvd in Santa Monica, CA.